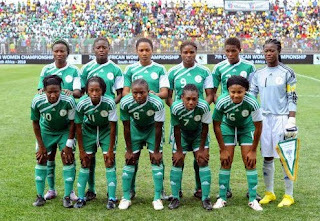 Super Falcons rout Mali, qualify for All African Games. 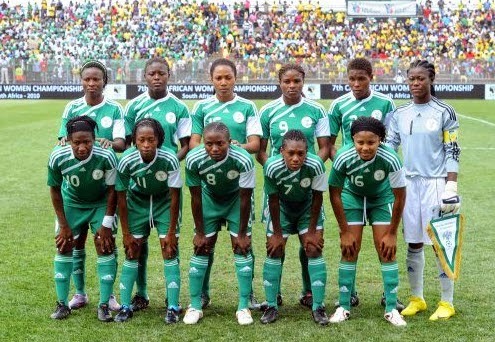 The Super Falcons of Nigeria thrashed Mali 8-0 (9-1 on aggregate) today in Abuja and picked up a ticket to the 2015 edition of the All African Games coming up in Brazzaville, Congo in September. Desire Oparanozie, Asisat Oshoala and Francesca Ordega scored a brace each while Evelyn Nwabuoku and Esther Sunday netted one goal each. PreviousPhotos& Video: Comedian, AY recreates the Jega/ Orubebe scenario at his comedy show. NextThe Igbos are the wandering Jews of West Africa. Etcetera writes.